You never know where Karski can find his fans. 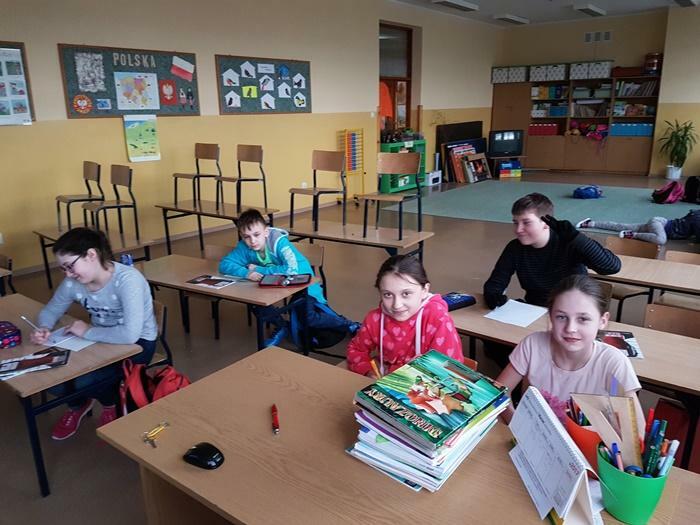 Tuszyn is a small town of a little over 7,000 inhabitants near Karski’s hometown of Łódź, Poland, where an enthusiastic teacher of English as a Second Language, Robert Kobylarczyk managed to thrill his sixth grade students at the Elementary School No. 1, with the Karski story. It all started when he decided to participate in the Erasmus+ project organized by Voyager Academy in Peterborough, England, and its leader Mrs. Blanka Glyde asked him to prepare a workshop about information fluency. The core of the project embraces prominent personalities and the values they represent. 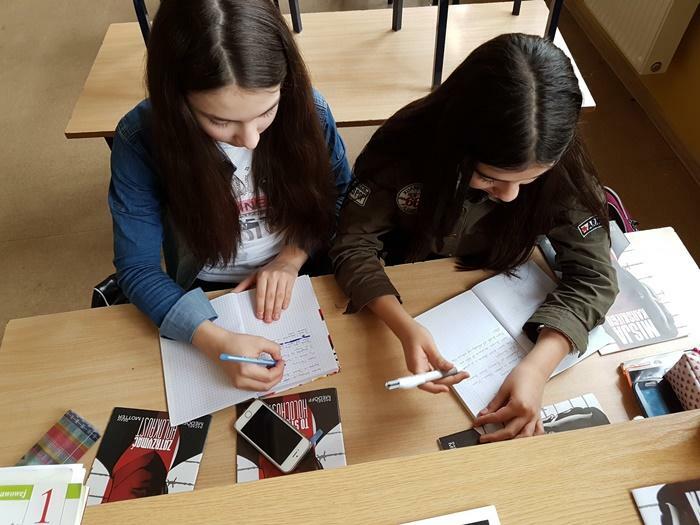 What better way to introduce the story of Jan Karski to young people than the graphic novel Karski’s Mission: To Stop the Holocaust? 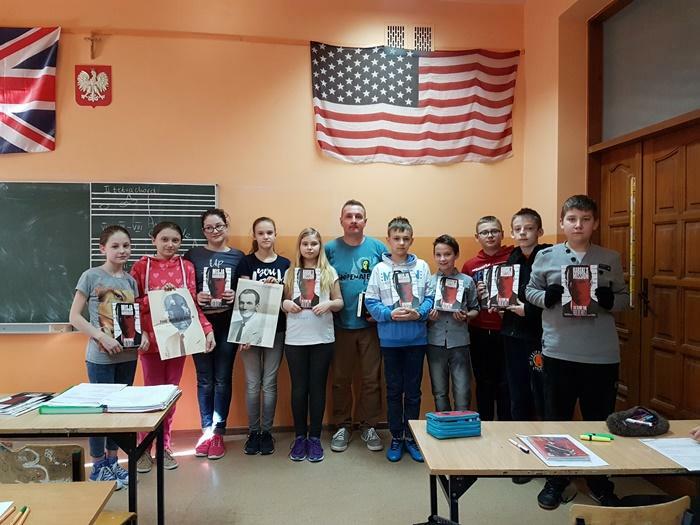 It was Mr. Kobylarczyk’s choice to include the book in the ESL curriculum; his students read the book in its English language version and then wrote their comments in English. Mr. Kobylarczyk also managed to sell the idea to Ms. Erika Perez, the teacher at the La Hubara Elementary School in Fuerteventura, Canary Islands, Spain. Her students will be reading the graphic novel in English, too. 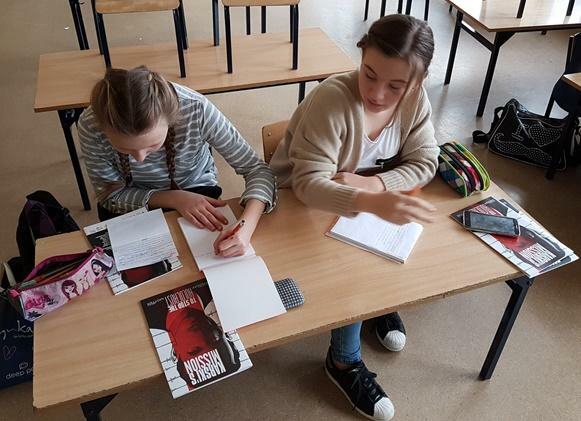 The books were donated by Fundacja Edukacyjna Jana Karskiego, the Jan Karski Educational Foundation’s sister organization in Warsaw, Poland.